Password recovery software easily regain access to password-protected files or systems if you have lost or forgotten your mail account or any password protected web applications or windows application records. DRPU password recovery software program recovers or resets passwords for email accounts created on various web based mail service provider including Yahoo, Gmail, MSN and more. 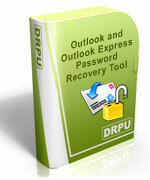 Outlook and Outlook Express Password Recovery Tool support recovery of lost e-mail and news accounts passwords configured on MS Outlook and Outlook Express email accounts. The password recovery program recovers and reset passwords, logins and server names instantly for all e-mail and newsgroup account instantly. The mail password restorer software automatically displays user logins and passwords for all e-mail and newsgroups accounts stored by Microsoft Office Outlook and Outlook Express. Just drags your mouse pointer on the asterisk text (******) and reveals the office outlook password instantly. In addition, the utility shows the complete list of Outlook and Outlook Express users together with their identity passwords. Internet Explorer Password Recovery and Windows Application password unmask tool provides complete solution to recover all type of internet explorer saved passwords that includes password for lost or forgotten Email accounts, Newspaper group, Online shopping, Magazine subscription, Web forms, Billing addresses, Search engine accounts or any password protected windows application records and much more. Finds the user name from auto complete field and reveal password hidden behind asterisks saved in Microsoft Internet Explorer. The password recovery software facilitates to save recovered password list to the user specified location and provide an easy way to manage and protect the breaking important information. Yahoo Messenger Archive Recovery Software is fully capable to easily recover and decodes all yahoo chat archive files so that you can read the entire chat conversation easily. Using this program you can decode all chat records without connecting to the Internet. The yahoo messenger archive recovery software helps to investigate and watch your child or employee internet chat activities. MSN Explorer Password Recovery Software easily recovers all lost or forgotten email account passwords created on MSN domains. 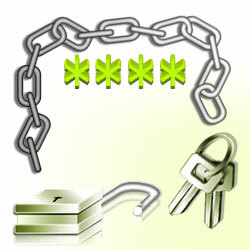 The password recovery program is fully capable to recover and shows password created on MSN and Hotmail domains. Easily retrieves password information instantly regardless of the password length and complexity with full support to all major MSN explorer versions. Easy to use password recovery software fully recovers password of any length and complexity with multilingual password recovery support. 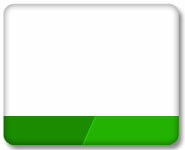 Easy and safe to use MSN Explorer password recovery software, support all major msn explorer versions and proves to be easiest password retrieval tool.